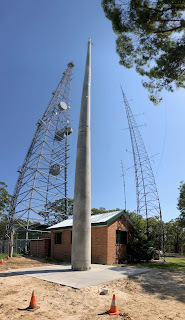 Today we had a meeting of the home brew group out at ARNSW in Dural. The first surprise (to me) was the wonderful new tower that has been erected on the site. 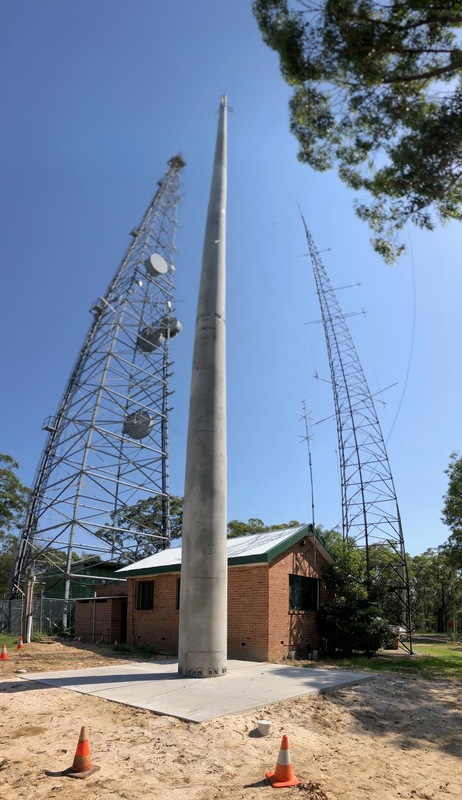 I'm told that the antenna for the UHF DMR repeater will be right up the top when it's ready. 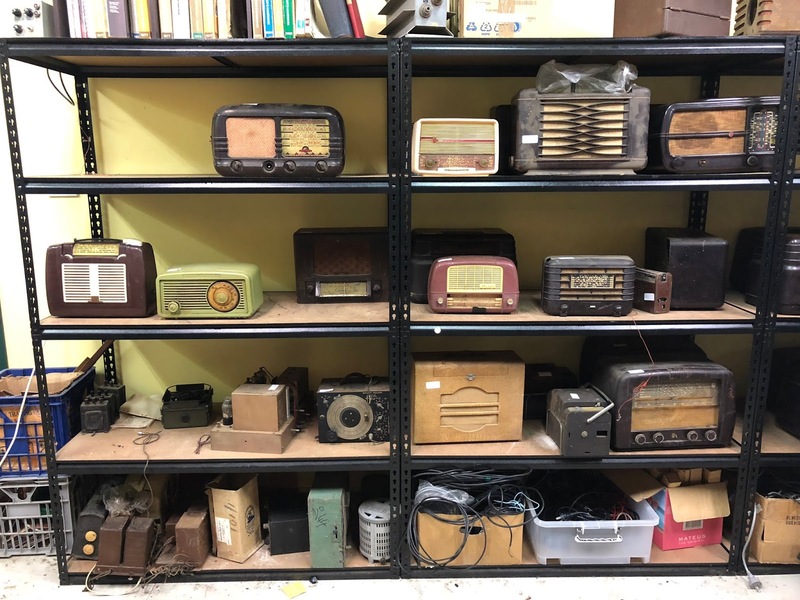 The other surprise was a large number of valve radios have appeared in the sale items. Apparently this is just the tip of the iceberg and a large collection has become available. I wondered if this was from Jack in near by Castlecrag but apparently that's not the case. I guess the generation who have collected these lovely old mantle receivers has had a touch of KonMarie and aren't seeing enough joy to hang on to them. Peter, VK2EMU, is building a valve power amplifier and along the way he's taken a diversion and built a beautiful valve tester in a wooden box. The front panel is marked with, I assume, a soldering iron. 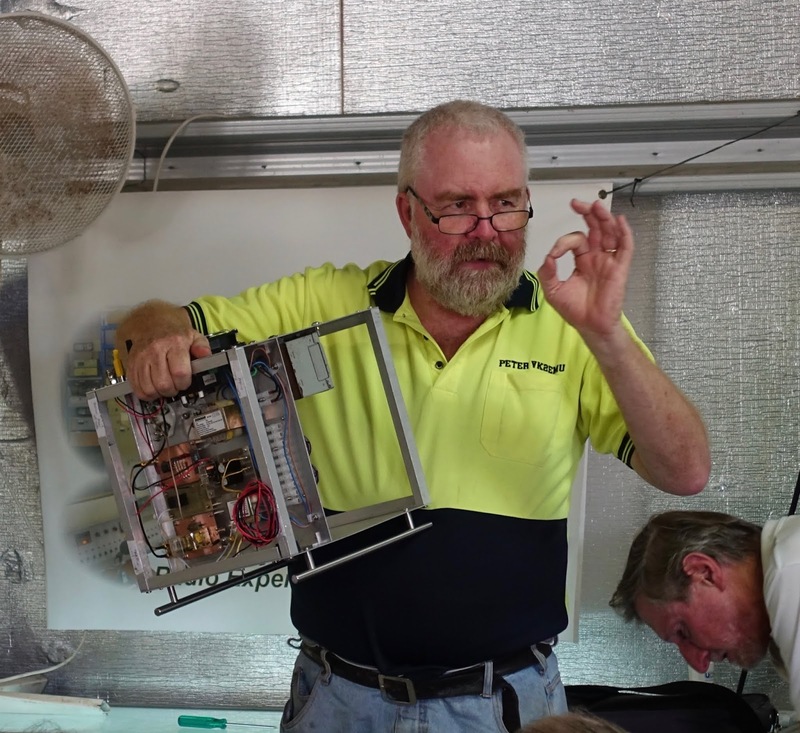 There's a little door at the back where you pull out the anode lead and inside there is storage for other valve sockets. 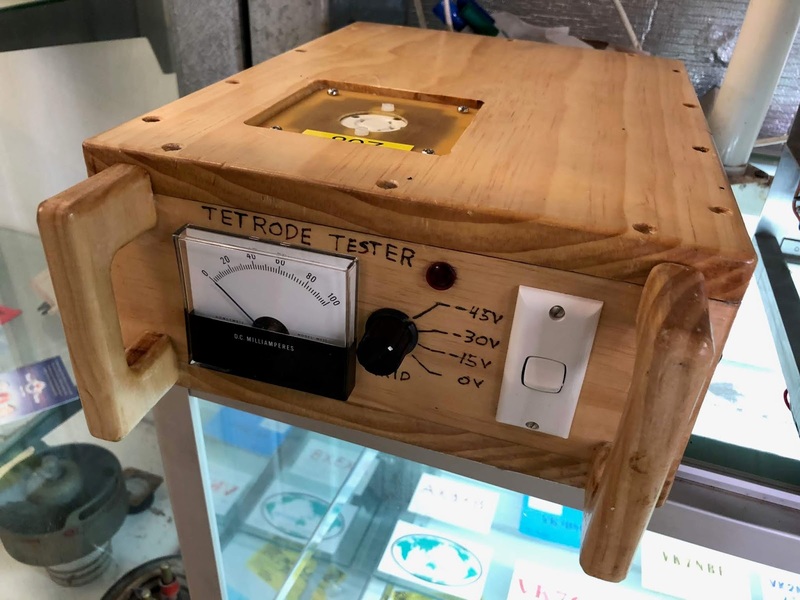 A clever part of the design, which I believe is from Drew Diamond, is that the anode is at zero volts and the cathode -600V or so. This means that you don't get killed if you touch the top of the valve. Peter's diversion reminds me of Donald Knuth's diversion into typesetting while writing the art of computer software. The valve PA is coming along though. 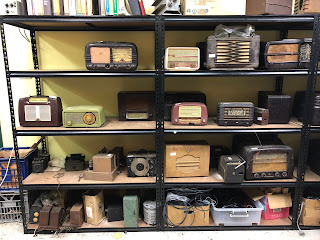 Speaking of valves, here's just some of the valve radios on sale, typically for about $20 each. 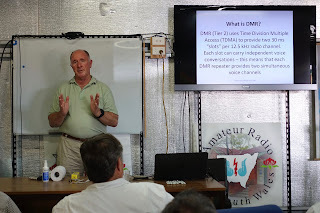 Finally we came to the main presentation by Paul VK2GX with an introduction to the DMR radio system. A terrific talk. When Paul finished I demonstrated decoding DMR off air using an RTL-SDR and the DSD+ software which I wrote about here recently. Keen to learn more about this I've gone ahead and ordered a TYT MD-380 Transceiver for AU$127 and will report back when it arrives in a few weeks. 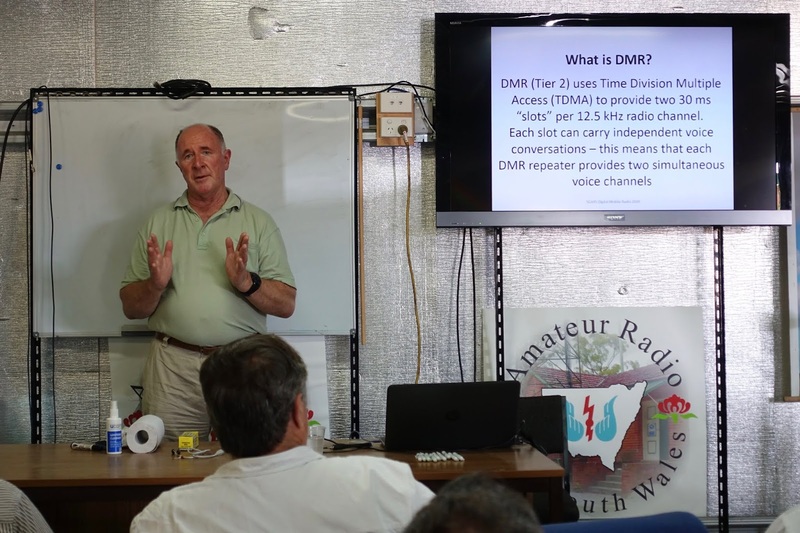 The low price of DMR gear I think may spell the death of alternative commercial digital radio standards like D-STAR.